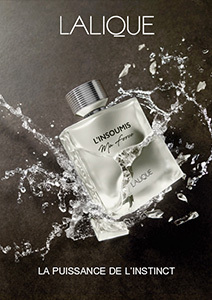 At the heart of the golden triangle, on the Cours de l’intendance, Lalique has chosen the South West to open its seventh boutique in France. After six months of preparations, the celebrated French crystalware manufacturer has established itself in the former premises of Madura, a retail space of around 130m², with a new concept combining the world of Lalique crystal with that of wine. The new venue is envisioned as a convivial space for shared experience. It will feature the six pillars on which Lalique is built – decorative objects, interior design, jewellery, fragrances, art, and hospitality – associated with the world of wine in the form of a vinothèque, a wine store. The Bordeaux showcase, designed by the Lalique Interior Design Studio, sets out to express Lalique’s DNA – the essence and philosophy of the brand – as a fusion of luxury and modernity. The realization of the wine store was entrusted to the interior designers Lady Tina Green and Pietro Mingarelli, authors of the Lalique Maison furniture collection. Their design is suffused with the same spirit as the wine store at Château Lafaurie-Peyraguey. The wine store within will offer connoisseurs and lovers of fine wines the opportunity to taste and buy the produce of Vignobles Silvio Denz. Lalique is establishing a presence in Bordeaux with the opening of its own boutique two months after the inauguration of the Lalique hotel and restaurant at Château Lafaurie-Peyraguey in Sauternes which has just joined the prestigious Relais & Châteaux collection. This inauguration marked the celebration of the 130th anniversary of Maison Lalique, 130 years of savoir-faire and excellence in the art of living epitomized by its creations “Made in France”. 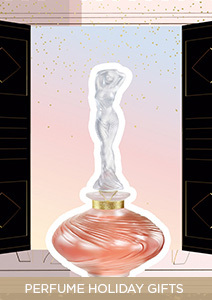 As a tribute to Printemps and the 150th anniversary of the Parisian department store, Lalique issued its emblematic Tourbillons vase, inspired by the blossoming of a fern, in pink luster.